Saturday 18th October - First we have Learn to Beatbox: Vocal Percussion and Sound Making with Bebox, a beatboxer, loop station artist and singer. You'll learn how to make percussive sounds using only your voice. Singing ability or experience is not necessary. As Bebox says "If you can talk you'll be able to do it". Then for all of you budding writers, there's Get Writing with Julia Ebbens. A fun session of creative writing exercises with an experienced creative writing tutor. Just bring along a pen and paper, a sense of fun and a willingness to share your work. Next is a class that will appeal to all gardeners and home-grown food enthusiasts.Grow Our Own Salad with community gardener Mahesh Pant explores how you can grow salads all year round. Pots, compost and seeds will be supplied but don't forget your gardening gloves. With the winter months approaching you might like to knit your own scarf. Learn to Knit with Kessa will show you how to knit one. You can find out how to cast on, knit, purl and cast off. You bring the needles and wool and Kessa will provide the expertise. To finish off the day we have Yoga and Relaxation with yoga teacher Julia Ebbens. Use the peace and quiet of a church interior to find out about posture, breath work and relaxation. Please bring a yoga mat (or a camping mat). Just five days later on the evening of Thurs 23 October we are offering a very exciting class in association with the Bookhive on London Street. A Storytelling Workshop for Beginners with Dave Tonge. If you are involved in telling stories, whether at home or work or with friends, then you will want to do this course. Over two hours you'll find out how to develop your storytelling voice, learn about movement and gesture and learn tips for adapting and learning stories. Dave Tonge is one of the region's best-known storytellers and is about to have a collection of traditional Tudor Tales published. Looking forward to November we have three classes coming up on Saturday November 15th. There's Making Mandalas with Natasha Day; The Fine Art of Napkin Folding with Colin Hynson and Making Your First Sourdough Bread with Mark Bond-Webster. With The Great British Bake-Off fever still going strong we expect the sourdough class to be very popular and could book up very quickly. We hope you agree that there's something here for everyone. If you want to book a place on any of these classes then just click here. 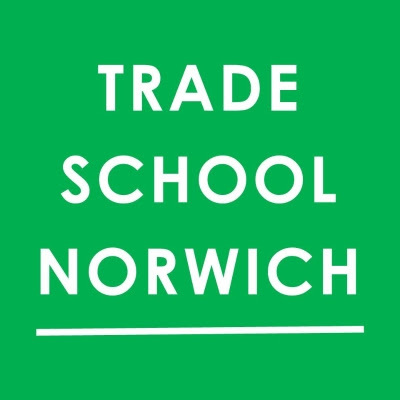 October is going to be a busy time for Trade School Norwich with lots of great classes for you to choose from.